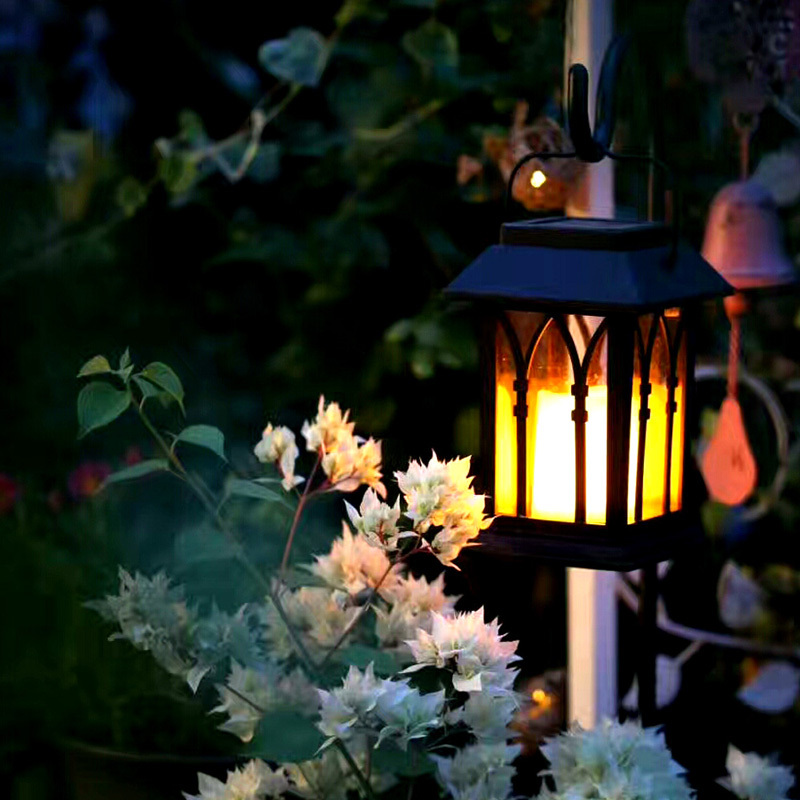 Successfully Added Solar Garden Landscape Lamp-15 Lumen, IP44 Rating, 600mAh Battery, Candle Effect, Intelligent Light Control, Amorphous Silicon S to your Shopping Cart. An amorphous silicon solar panel means this lantern can recharge even on cloudy days and when night falls it brings beautiful lighting to your outdoor or indoor spaces. Mimicking the behavior of a candle to this solar lantern sets a relaxing atmosphere. Perfect for winding down after a hard day or for a romantic dinner date. This solar light has a 600mAh rechargeable battery that offers up to 20 hours of lighting when fully charged. Without the need for wires or cables, this solar lantern can be easily placed anywhere around your home, garden or patio. It has a 15-lumen output and as it harnesses power from the sun it adds zero to your electric bills. With an IP44 rating, the lantern is protected from rain or dirt so it can be kept outside through most weather. This decorative light allows you to keep darkens at bay in your outdoor spaces throughout the year and ads a warm and inviting glow to your garden.